Ribs: 21: 22.5: 22.5 cm. 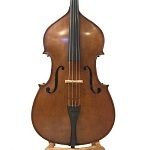 Fully solid orchestra bass. 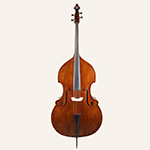 This beautiful instrument is gamba-shaped and made from figured maple with genuine purfling. Dark golden-brown spirit varnish is applied and D'Addario strings are fitted. Rubner single machine heads and a tube endpin. Lothar Semmlinger was born in Langensendelbach (Germany). 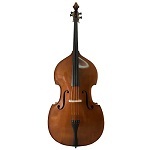 He soon started to learn about the construction of string instruments. 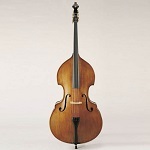 After his school period and under the direction of Master Albert Lang he learnt how to building string instruments. After that, when he was still very young, he worked with Karl Hofner improving his knowledge and skills. In 1975, when he finished his studies, he got the title of "Master Craftsman of Bow Instruments" of the craftsmen Chamber of Numberg. 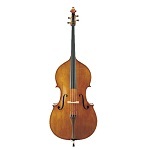 He worked as a master for four years in Mohrendorf in the company Dilk, and in 1980 he opened his own workshop in Baiersdorf, which is known, as well as Mittenwald for its instruments and its luthery school. He started to build his own instruments, and continued working with Benedikt Lang, to which he was very close through his master Albert Lang. Later, in 1994 he got in charge of Benedikt Lang according to the wishes of Lang Company. 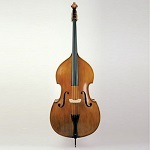 He started to build high quality instruments with his two sons Stefan and Christian and two assistants. 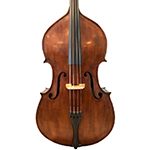 Semmlinger's instruments are characterized for their deep acoustic pitch and their great sound power. His instruments remind of the quality of those of the old times, both in the sound and in their finish. 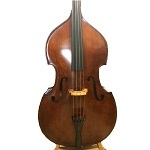 He has done the reproduction of "The lady of Miwa" (a jewel, replica of the famous baroque 1623 violoncello of the Italian luthier Tomaso Castelli). 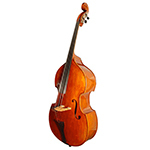 His latest challenge has been to use new types of wood for his instruments: Italian poplar. 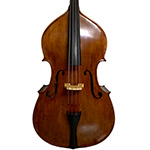 This wood hasn't been used in instruments before because it is softer than maple.